Uh-oh! Bolo, the Dog is Good® logo dog, is being decidedly un-good this Halloween, dressed as a prisoner, complete with striped suit and matching hat! Uh-oh! Bolo, the Dog is Good® logo dog, is being decidedly un-good this Halloween! 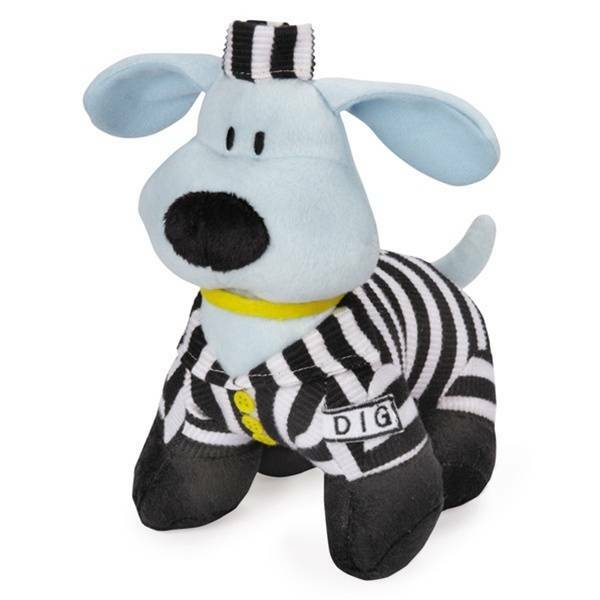 Dressed as a prisoner, complete with striped suit and matching hat, this Bolo toy is made with soft polyester plush and fitted with a squeaker inside. Bet he'll still get lots of treats, even as a funny felon.